Tony Burns is the CEO of Not for Profit, HPA Helping People Achieve which assists people with disabilities to create a fulfilling everyday life and achieve their full potential. He is this week’s Changemaker. 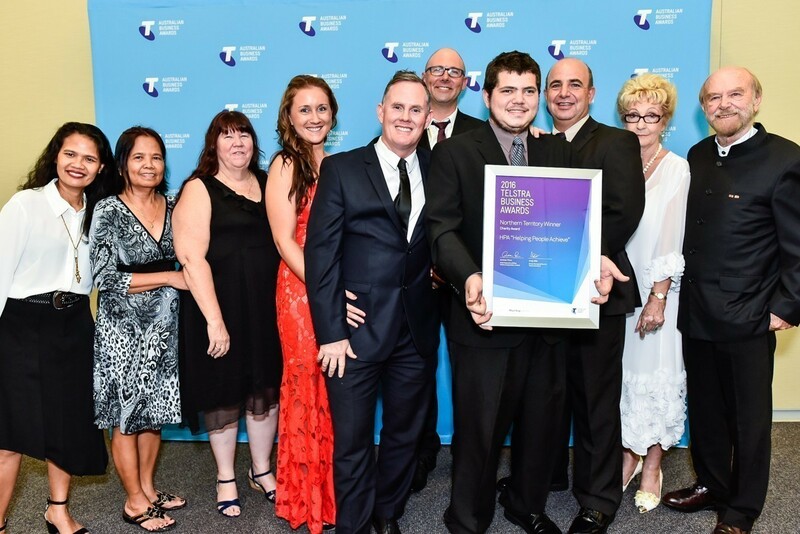 Darwin based charity HPA recently became the first Not for Profit in Australia to be named a state Telstra Business of the Year. The Not for Profit, which is a registered charity but is run like a private business, strives to focus on the possibility, not the disability, to help people achieve. Burns, who completed the Cairns Ironman and even created his own event, the Croc to Croc 100-kilometre, ultra-marathon through Darwin, to raise money for The John Maclean Foundation (JMF), said it was about taking life “by the knuckles” and breaking down barriers on the way. In this week’s Changemaker, Burns talks about taking his inspiration from wheelchair athlete John Maclean, changing the name of the business two weeks into the job, making a positive change for the sector and why if you are passionate about what you do, great things can come. A combination of things. I have always been very passionate about helping people and I was inspired by John Maclean who was the first athlete to do the Hawaiian Ironman in a wheelchair. I got inspired by him many, many years ago, and had the great privilege to actually meet him in person and we are actually best friends now. He’s got a foundation which raises money for kids in wheelchairs. So I’ve been an ambassador of that foundation for many years, since 2004, and raised over $600,000 personally for that charity. And when I moved up to Darwin many years ago I was working in the media and I got involved with HPA because they were in my portfolio, where I had to try and sell advertising to them, and I got to know HPA and the organisation, of what it’s about and I was really inspired by them. Anyway, I came and worked for them as a sales manager in 2008, but it was just right before the GFC and I got made redundant, but anyway three-and-a-half years later I had the opportunity to come back and now I am the CEO and we’re making some big changes… I think, the passion behind working in the sector is so inspirational… The company had been going since 1963, so the company was called HPA Disability Services and my passion was it deserved to be more powerful than that. It is not about focussing on the disabilities but focussing on possibilities, so in my first two weeks as the new CEO, I changed the company from HPA Disability Services to Helping People Achieve, and in the last two years, especially what happened on Tuesday night [winning the Telstra Business of the Year Award], the passion behind all the families and all the people who have been part of HPA’s journey and where we are now, it is super exciting to see where we can head. What was it about John Maclean’s story that inspired you so much? It was a combination of things. I think I have always been inspired by… sort of Forrest Gump stories and I think hearing about John’s story and seeing what he achieved… just inspired a flame that was always inside me, to make a difference in people’s lives. You know, my parents taught me if you can help more people get what they want, you’ll get what you want. And that’s been my drive ever since I was a young boy. And to be able to be inspired and help John’s journey and see the difference in people’s eyes, when you can make a difference to other people, when you have a chance to help and inspire, and that’s just inside me. If you are passionate about what you do in life, great things can come, and I live by that motto and working very hard. 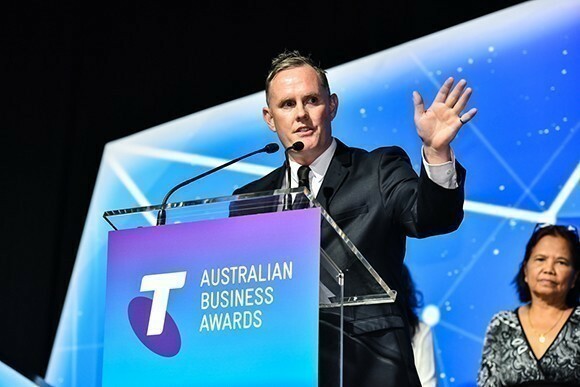 And I’m very proud to say that in a short period of time at HPA we’ve done some incredible things and to be acknowledged as the first business ever in Australia in the charity arena… to be acknowledged as the Telstra Business Award winner is pretty incredible. Every single day is a new challenge and a new opportunity. I’ve got an amazing team, of over 100 staff, my day is about managing and making sure and overlooking that everyone is on track, and we are heading in the right direction. I’ve got a great management team, you know, it is about pushing the brand out there too. So I’m very heavily involved in making sure our branding and our website and our social media and our inspiration of pushing the message out there is consistent. And also in the act of getting out there and knocking on doors and inspiring the community, because one of my big passions was HPA’s story and I believe out there a lot of Not for Profits and charities don’t sell their stories as well as they could. So one of my passions is to continue to inspire the community about what we’re doing, and along from that it breaks down barriers about the sector and I think that’s a good thing. HPA’s story is an absolutely incredible story. To start off in 1963 with just an idea of transforming an opportunity for a family and to see where it has come from, and gone through the cycle of the ups and downs of the Not for Profit world, I think it is absolutely incredible. There has been some really hard yards over the years and to see where it is now and to be able to say that we’re the Telstra Business of the Year it is pretty incredible. It is a credit to everyone that’s been a part of our journey but it’s a credit to everyone that’s in the sector. I think one of my passions is HPA, Helping People Achieve, it’s not just about the business it is a brand and if we can be a strong brand and advocate for the amazing people that work in the sector then you know we are doing some great things and it’s not just helping people achieve in the business, it’s everyone that is involved and everyone that gets touched by the company. My current priority is to enjoy this moment as a team. I think we’ve come a long way in the last two years but you know we’ve got a long way to go. So another main priority is to continue our evolvement of what we’re doing, it is important to make sure that we are sustainable with our growth, making sure that we are converting the opportunities that come from this moment and at the same time to, I guess, continue doing the great successful things that we do on a daily basis, continue to inspire people in getting out there and bring a smile to new faces which is the drive of everyone. I guess the challenge is the perception of what we can achieve. I think for a long time the disability sector has been looked upon in different arenas, so really I guess the challenge is to break those barriers down, especially with the wider audience of the public, and also governments. So opening up new doorways and pathways is, I think, an important part… For a long time people would focus on disability, it’s not about disability it’s what is possible, and so my challenge and opportunity, is to continue to break down those barriers, and focus on the great things that we do here on a daily basis and to really advocate for the men and women of my organisation, and the many people out there too… some of them have really unfortunate circumstances. I’ve got some of the most amazing staff that come to work, they’re passionate, they’ve got a purpose and they’re inspiring. So I think if we can keep pushing that message for them, they deserve to be showcased on a massive arena and to be pushed as true Australian inspirations. 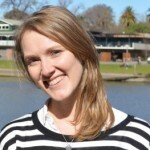 What is the future direction of the disability sector? I think it is exciting. I feel that it is about time that a light has been put on it. Obviously a lot of NDIS stuff is happening now, which is putting highlights on it, there is a lot of things happening in the sector so, I think it is about getting right minded people involved, the right governments, the right policies. And i’m passionate about making positive change for the sector and for the amazing people that work in it, so if we can be part of that journey and be out there and pushing the inspiration behind the amazing things that we do as a sector, then I’ll be doing the right thing. I was very lucky, I still am, my parents taught me some really great core values, so my greatest achievement to date would be really to follow my passion and my drive to help people. So I guess my greatest achievement to date would be to see the wonderful things that we’re doing here with this organisation and Helping People Achieve is really about getting out there and being an inspiration to everyone that comes in contact with myself and also the brand and the company, so I feel very proud that I’ve only been with the organisation for two years but to be standing here now… it is pretty surreal moment and I’m very proud that we’re changing people’s lives and also at the same time we’re bringing a smile to people’s faces, so that’s pretty exciting. Is there anything that frustrates you about the Not for Profit sector? I guess there is a bit of inconsistency in governments throughout different states and territories, so I would like to see if there was a possible way of breaking down those red tape and barriers. And also the act of how the message is put out there into communities about Not for Profits… we’ve got to work and strive and be exactly the same as any normal business, the only difference between our business and another business down the road is that it’s got a share market and it gets share prices for a company whereas our money goes back into our business and inspires and helps amazing people. So I guess hopefully that can continue to be a bit of an easier road in some ways, but you know, you’ve got to have challenges in your life to really reward the great moments that happen, so we don’t look at it as a challenge, we look at it as an opportunity to overcome and keep moving forward and strive for bigger things. Do you think more charities need to think of themselves as businesses? Absolutely, you need to look at yourself as a unique selling point. What’s your why? Why do you do what you do? The days are gone where you can just keep putting your hand out, it’s about reinventing yourself and really being passionate about why you do what you do, and if you get down to that core aspect of that, then new opportunities open up. So I think if more charities are out there and think like that then I think that is going to be a better thing for their progression, moving forward and hopefully an understanding of a clearer message for why people want to support those kinds of organisations. Look at this stage, definitely. I feel that I’ve found my niche, if you want to call it that. I feel very honoured to have the opportunity to do what I do on a daily basis and get rewarded for it, I’d do this for free if I had to. So I feel very honoured and I feel that we’re touching people’s lives and you don’t get that opportunity very often, and at the same time to transform and break down barriers for the sector is quite unique too so I feel very fortunate and i’m definitely enjoying the ride. I do… I’ve tattooed it to my arm actually. So it’s two parts, I’ve got two arms. So on my left arm I’ve got “carpe diem”, which is seize the day in Latin and I believe that you need to seize the day, you need to seize the moments, you need to grab life by the knuckles and go for it. And on my right arm, I’ve got “dream, believe, achieve”, so…obviously I’ve tattooed it to my arm so I truly believe in it, but if you have a dream, and you believe in it, then you can achieve it and anything is possible. So it [Helping People Achieve] is a pay it forward moment that’s for sure.